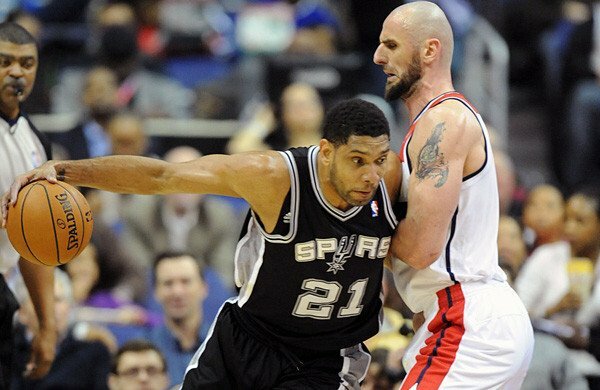 Tim Duncan and the San Antonio Spurs probably wish every game they play could be against the Washington Wizards. The Spurs entered last night’s game against the Wiz with 15 consecutive victories against them, and they were able to extend that streak one game further to 16. Sure, they may have needed double-overtime to do it, but in the end Washington couldn’t do enough to slow down Duncan, as the 37-year-old forward’s 31 points, 11 rebounds, five assists, three blocks, and two steals were enough to give him team the 125-118 victory, while earning himself “The Stat Line of the Night” for Wednesday, February 5, 2014.